A new food technology conference in Auckland is focused on potential threats and opportunities from rapidly developing alternative proteins. The speed of change for other protein sources for food products is vital intelligence for local producers. Science leaders say changing consumer trends offer a huge commercial opportunity for our farmers. “New Zealand farmers have faced challenges from the removal of SMPs to biosecurity threats on their livelihoods – technology disruption is just another force for change. 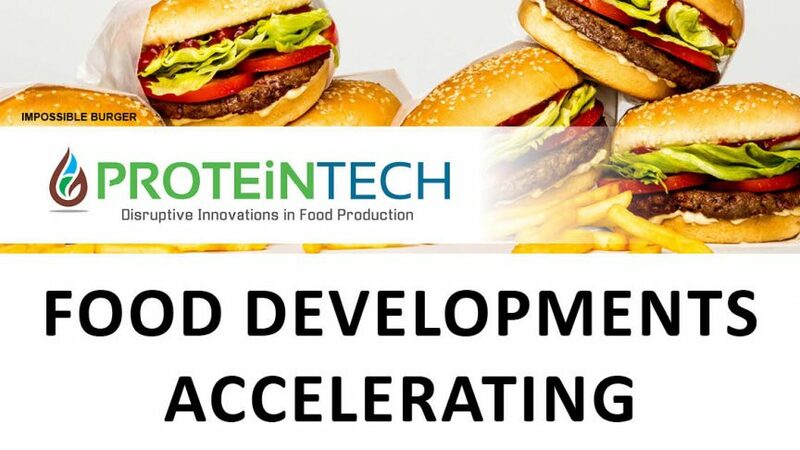 With much more direct marketing from groups like Beef + Lamb NZ and many other direct sales channels there are plenty of opportunities for niche food product sales growth from our land base,” says John Stulen, conference director at the upcoming Innovatek ProteinTECH conference coming to Auckland on 24 July. Outgoing chief science adviser Peter Gluckman suggesting a review on GE for New Zealand. The move by Air New Zealand to offer ‘Impossible’ burgers is a smart marketing ploy – but the speed of other plant-based food developments for mainstream food shoppers is taking off like the planes on which the burgers will be served. Early movers in the food products that meet new consumers needs are set to capitalise on marketing these sustainable plant-based foods and food ingredients. It’s as much about developing patentable IP in the first instance, then selling the rights to grow the proteins. Coming to Auckland in July, Innovatek’s ProteinTECH Conference brings together leaders in primary industries from the development and research fields. These key people have their finger on the pulse of changing food production trends, alongside industry analysts, financiers and key accounting/consulting firms. If food production, niche or commodity is your business, ProteinTECH is a must-see event. To register go to: https://proteintech.events/. The one-day conference is on 24 July at the Novotel Auckland Airport Hotel. It includes an evening welcome reception on 23 July.